On March 15, Tesla unveiled the Model Y, the company's all-electric crossover. 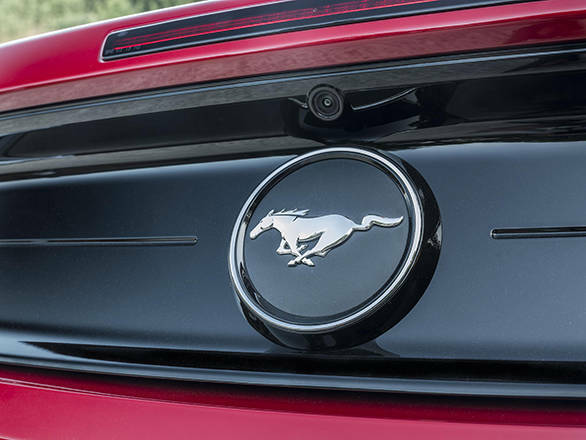 Ford Motor Company, on this day, released a teaser with blue pony logo that is said to be the Mustang hybrid. While we believe the same can also be the teaser for the Ford Mach 1, the performance electric SUV from the American car manufacturer. The timing seems to be intended to take away attention from the Model Y crossover unveiling. The teaser image was captioned as "Hold your horses". Ford had used the same blue logo in the video detailing the company's plans of electrification. We believe the teaser image could mean that Ford will be soon announcing some details of its upcoming electric offering. It is already known that the Ford Mach 1 electric SUV is expected to arrive in 2022 and is believed to have a driving range of close to 483km in one full charge. The upcoming SUV might be manufactured at the Flat Rock, Michigan plant. Ford is betting heavily on the electrification as it plans to electrify a host of its popular offerings. The company had allocated a budget of $4.5 billion that it intended to spend on the electrification of 13 vehicles that were to arrive by 2020. However, the same has now been increased to $11 billion that will be spent till 2022. The upcoming green portfolio of 40 electrified vehicles will consist of 16 all-electrics whereas the others will be a combination of hybrids and plug-in hybrids. Ford has still not revealed the exact specifications of the powertrain that the Mustang hybrid would use. However, the company has clearly mentioned that the power output would be equivalent to that of the V8 motor that is close to 441PS and will also have an increased low-end torque. We believe the new Mustang hybrid would not be a plug-in variant like the Toyota Prius and instead would use regenerative braking. The muscle car with this new powertrain will debut in North America in 2020. The automobile manufacturer presently offers the Focus as an EV. However, Ford is working on making an hybrid version of the F-150 truck for a 2020 debut. In addition to that, the iconic Mustang too will get an electric twin in the same year. Ford is also developing an all-electric autonomous vehicle for commercial fleet operations, Transit Connect commercial van plug-in hybrid and two special purpose pursuit vehicles.